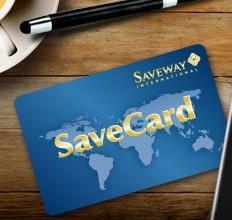 Saveway International created an unmatchable advantage on the consumer market. The company is building an independent shopping community. This community is entitled to pre-negotiated discounts in a constantly growing network of commercial partners. With the expansion of the shopping community, commercial partnersenjoy higher profits. This way they provide even better conditions for their new customers. Saveway helps customers and merchants benefit mutually. Savewaycreates an opportunity for everyone who wants to grow a business of their own. How? By partnering with them! Why is Saveway’s business opportunity so attractive? our business partners and their needs have been prioritized and placed first. There are several reasons why so many people are interested in Saveway. Saveway is dedicated to improving the quality of life for each person. Saveway - A better life for everyone!